Partly cloudy and windy. High 72F. Winds NNW at 20 to 30 mph. Higher wind gusts possible..
A clear sky. Low 51F. Winds NW at 10 to 20 mph. Work is under way on the Magnolia Villas on North 46th Street. Joanna and Chip Gaines have formed a company called Magnolia Homes. They are developing a subdivision off Bosque Boulevard called Magnolia Villas. Chip and Joanna Gaines see themselves as a team, and not just because they are married and have four children under age 6. They have created a business called Magnolia Homes, and they have undertaken what they consider their signature venture — a 37-home, gated community off Bosque Boulevard called Magnolia Villas. The garden homes will sell for $140,000 to $200,000, which includes the price of the lots. But two families of young professionals have committed to building there, Chip Gaines said. “One couple drives a BMW and a Hummer. They own a business, have no children and want to travel,” he added. Chip Gaines said he hopes to sell at least 10 lots a year. He will oversee construction of each home to ensure quality and architectural integrity. He and his wife have blueprints of several styles. Some area residents may know Joanna Gaines as the daughter of Jerry Stevens, a longtime local Firestone tire dealer. She and the rest of her family appeared in TV commercials for the business. 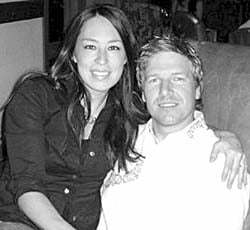 In 2003, Joanna Gaines opened a boutique called Magnolia. Chip Gaines was involved in real estate at the same time, and they later formed a company called Magnolia Homes. With heavy emphasis on unique designs, Joanna Gaines said, they would buy and fix up homes to “flip,” or resell. They also got involved in remodeling and new home construction. When their second child was born, the Gaineses converted the Magnolia boutique into the headquarters for Magnolia Homes. Joanna Gaines began to sell her merchandise in the homes of friends. Chip Gaines said he acquired land on South Third Street with thoughts of housing for Baylor University students. Just as he was getting started, a group from Fayetteville, Ark., approached him about buying the land. They also envisioned student housing and completed an enterprise called Aspen Heights. “That was my first rodeo and I watched every move they made, learning what I could,” he said. He is now launching his own subdivision, Magnolia Villas. Land clearing has begun on 6 acres behind OakCrest Funeral Home on Bosque Boulevard, not far from the Extraco Events Center. It will have sidewalks connecting the free-standing homes, lush landscaping, a community garden and a neighborhood association to which residents will pay $100 to $150 a month, Chip Gaines said. “We can see the potential in every home and project,” Joanna Gaines added. It’s their uplifting take on the city, one that they are quick to share with others, that earns them recognition as the first Persons of the Year by Waco Today magazine.